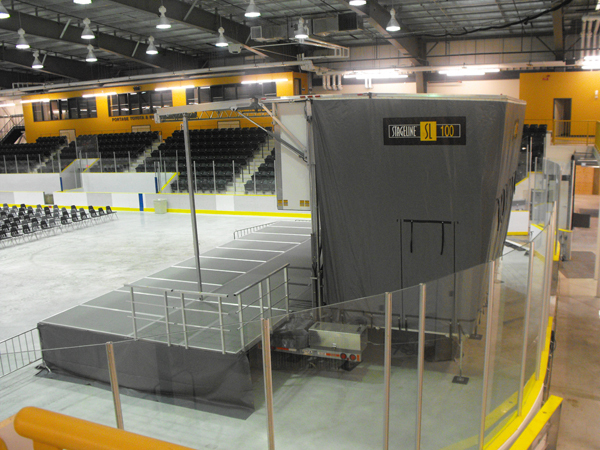 Up to 5,000 lb (2,268 kg) of storage space capacity. 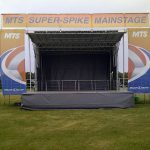 Bandshell size 24′ x 12′ 10″ (7.3 m x 3.9 m) Full height rainproof and fire retardant vinyl side walls on 3 sides. 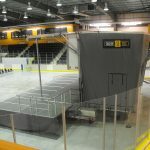 Includes back stairs, handrails, guardrails and skirting. 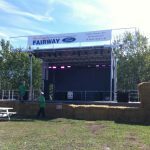 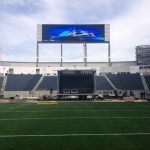 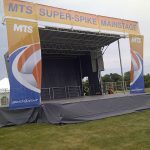 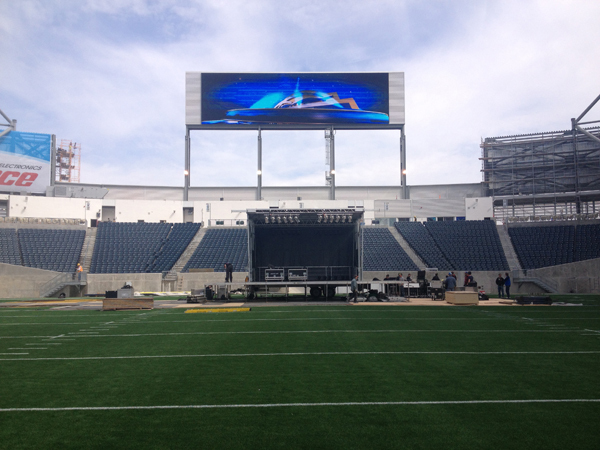 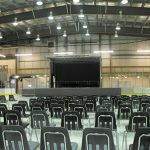 Certified Professional Engineers will bring the stage to the desired location and pick it up after your event. 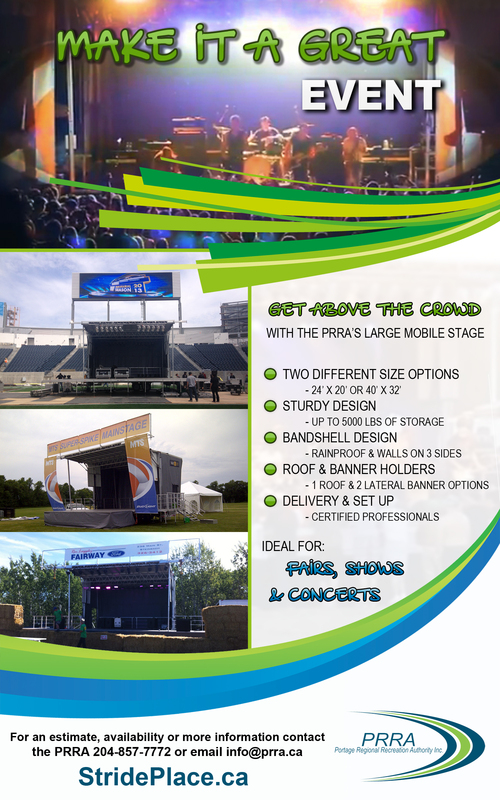 Make your next event one to remember with the PRRA’s Stageline SL100 mobile stage! 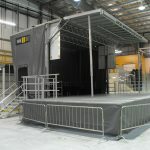 This easy to move compact stage can maneuver into spaces that others cannot. 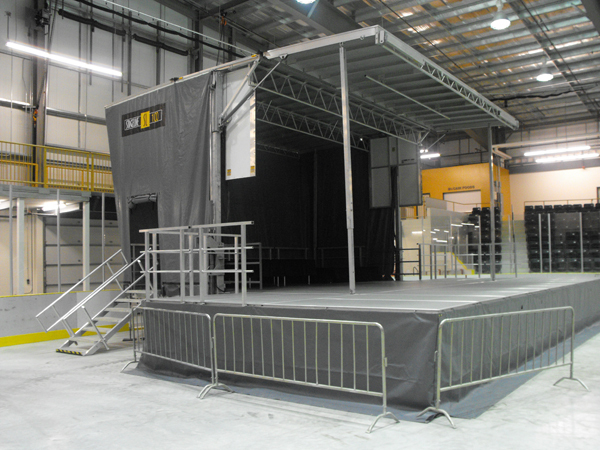 The only all-aluminum mobile unit featuring a fully hydraulic stage set-up. 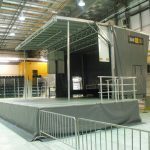 Rigging capacity of 6,500 lb (2,948 kg) and strong enough to raise the roof loaded with 3,800 lb (1,725 kg) of sound, lights, banners and sets. 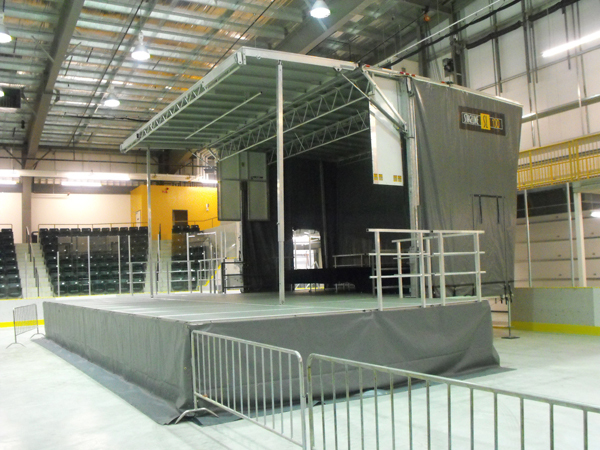 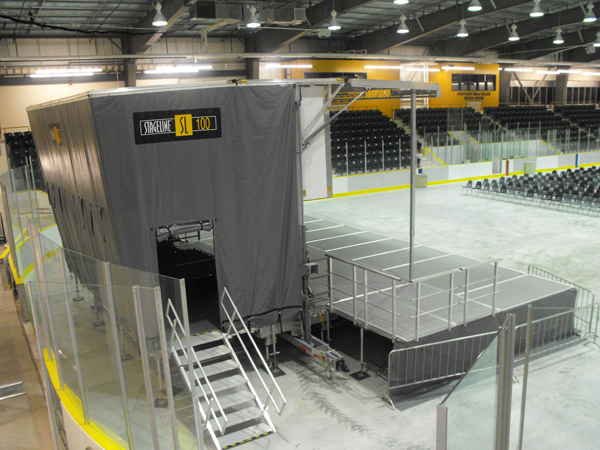 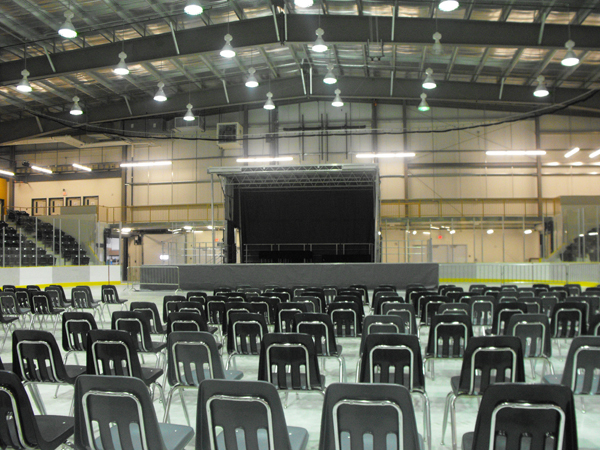 Multiple deck configurations ranging from band-shell to a full professional-sized stage. 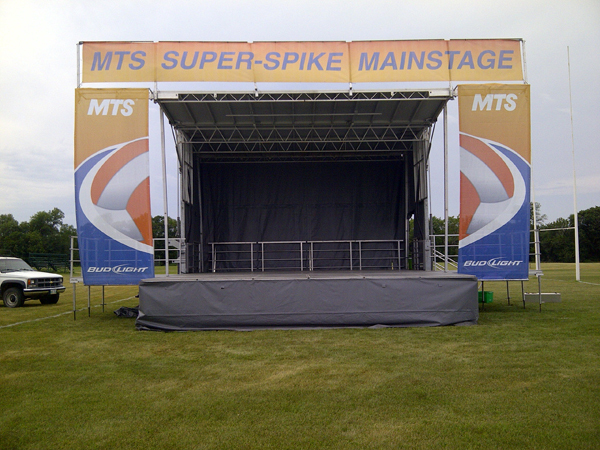 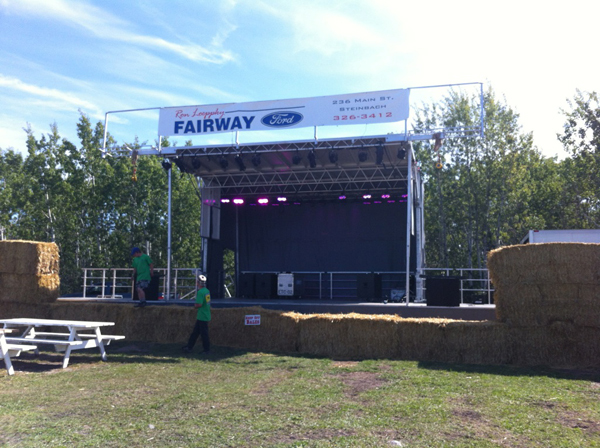 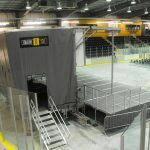 This stage comes with optional wind walls that resist wind up to 97km/h! 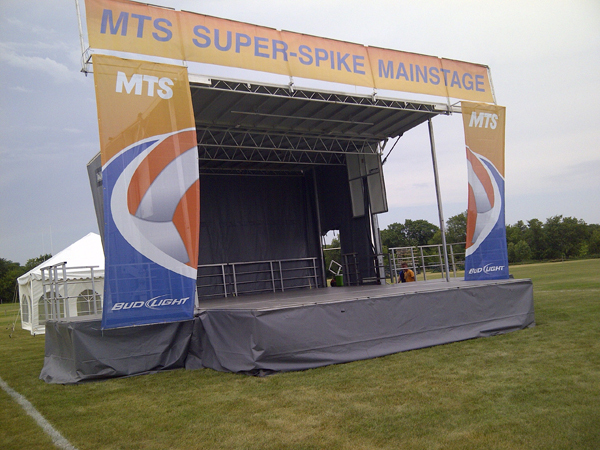 The Stageline SL 100 stage is tough, safe and economical. 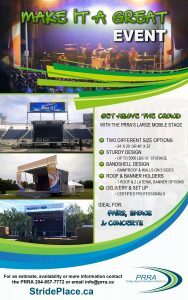 Built and field-tested by production professionals to meet the needs of your most demanding and varied outdoor projects.